I collected a plant from the garden of a mass shooter. I made the street listen to the market. I cultivated a piece of land nurtured by tweets. I shipped debris from the syrian border to use as bird litter. I used a donald judd as a living habitat for snails. I grew corn for a plant concert. I filmed a bird driving to the salton sea in california. I rescued laboratory mice so they could play swan lake. I inserted fruit tress into a structure by reto steiner. I created a natural soundscape for my bonsai. I lived with sheep in europe. I flooded a gallery in austria. I grew grass on rugs in a castle. I released a goldfish at the metropolitan museum. I grew grass on a persian rug in my art studio. I released 50 crickets inside an industrial building. I raised 6 ducklings in my art studio. I released three flies during an exhibition. I transformed my art studio into a bird retreat. From july to august 2012 i lived with sheep in europe. 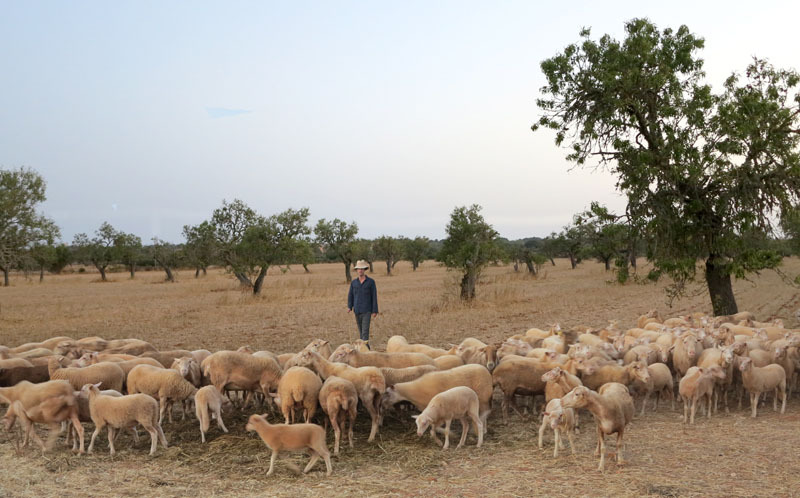 For a month, the artist disappeared from his regular routine and lived in the European countryside among sheep, documenting the work only through a single, unverifiable photograph. This of course becomes a performance in itself, demonstrating how boundaries between work and leisure are increasingly blurred within a 24/7, always-on, always- connected, high performance culture. The artist retreat as performance thus functions both as a rupture in the seamless flow of artistic productivity and as a kind of myth within the artist’s body of work—a dematerialized form of production that persists over time.